North Carolina’s new cannabis oil bill isn’t good enough. NC has a long way to go on cannabis reform. You may have read that the NC House just unanimously passed a cannabis oil bill and that the Senate is likely to approve it. This is good news in the sense that any progress on cannabis in NC is, well, progress. And last year’s cannabis oil law was atrocious. The current bill fixes some of the problems with last year’s law. But, the current bill is simply not good enough and we expect more from the NC Legislature. The current bill allows a patient with a seizure disorder who has a recommendation from a licensed physician to possess cannabis oil that contains no more than 0.9% THC. In light of research showing that cannabis can be helpful for a wide range of physical and mental health issues, including Crohn’s Disease, glaucoma, arthritis, asthma, PTSD, multiple sclerosis, AIDS/HIV, and even cancer, limiting the oil to seizure patients is shortsighted and wrong. Click HERE for a recent “top 10” list of diseases for which cannabis can be helpful from CNN. A physician should be able to recommend cannabis for any medical issue that she, in her medical judgment, believes it will help. The NC Legislature shouldn’t be in the business of making medical decisions. Moreover, limiting THC content is also misguided. THC, the most well-known cannabinoid in the cannabis plant, has been shown to have many medical benefits, particularly when combined with other lesser known cannabinoids such as CBD (cannabidiol) and CBN (cannabinol). Of course, cannabis should be legalized across the board, as it has been successfully done in Colorado and Washington; however, that’s another post altogether. In the meantime, the NC Legislature needs to wake up and pass a real medical cannabis law. 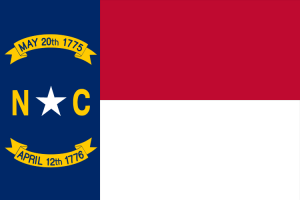 Click HERE for an article about the NC House Bill. Thanks for your positive response. I’m sorry to hear about your struggles with MS but am really glad to hear that you’re researching cannabis as a possible alternative therapy. Please keep me posted. effective cancer fighter, there are some nice side effects that come from using the Rick Simpson oil, for instance, I no longer need to take any pain killers. Just one or two drops of the oil will ease the pain and help you sleep like a baby. Best of all, its natural, Thanks to all the staff at Amsterdam’s Garden who guided me throughout this journey. You guys are awesome! Wow! What an incredible story. Thank you for sharing. I firmly believe in cannabis as a medical aid and am thrilled to hear that it worked (and continues to work) for you. ROD KIGHT (sometimes misquoted as Rod Knight ), is an Asheville based lawyer who represents businesses in the legal cannabis and hemp industries throughout the US and the world. His “Kight On Cannabis” blog is a timely and authoritative resource for legal analysis, news, culture, and advocacy in the cannabis and hemp space. Content found here is frequently quoted, referenced, and shared internationally by reputable news and cannabis industry organizations.